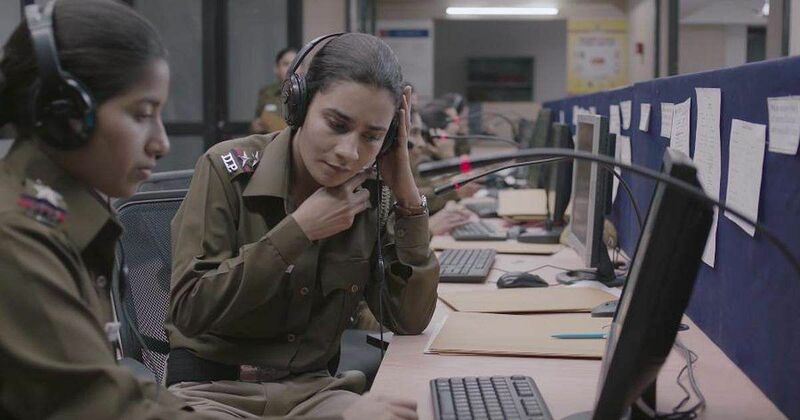 Ivan Ayr’s Soni (which is currently streaming on Netflix), about the lives of two cops – Soni and her superior Kalpana, is a meditation on power. The two women are very different. The former is street smart, quick to anger and throw a punch (I honestly thought all of the men who got it from her deserved it), and lives alone in a small apartment. The latter is a calm IPS officer who follows rules, whose husband too is a senior cop, and lives with the family and has other ‘roles’ to fill–daughter-in-law, wife, sister-in-law, aunt, etc. And yet they both know how alike they are. They are women. In a system that is so used to power being synonymous with men that Kalpana’s juniors respond with ‘Ji sir’. Her male juniors, she mutters to no one in particular, listen to her only when she speaks firmly and not the way she naturally enjoys speaking--calm, level-headed. The camera-work in Soni deserves special mention, especially because the film is full of these long shots that track the two women’s movement. I enjoyed how the camera followed Kalpana and Soni, faithfully. In a manner that seemed to understand and convey the quiet dignity of the two ladies. The muted colours, in a film shot largely in the night, as well as the sounds of the night, all add to the experience of this female cop film. Most importantly, Soni spoke to me like no other recent Indian film has, for showcasing the imposter syndrome the two women feel. Women are constantly told to break the glass ceiling and smash the patriarchy. But can you smash and break something without damage to your own self? Women encounter condescension, dismissals, violence or are invisibilised when they try to. Kalpana’s husband is constantly asking her to act like a cop; while also admonishing her for being too sensitive, too involved in her juniors’ life; being too nice to them. (Iyr’s film is also nuanced enough to showcase how power only answers to power. Kalpana’s husband shouts at her but is shouted at by a politician’s assistant.) Soni is frustrated as the power she’s supposed to enjoy as a cop is almost always out of grasp. Even as she’s treated like the average woman on the street–susceptible to ‘eve teasing’ and worse by men. On another day, Soni gets into a tussle with a bunch of influential men doing drugs in the bathroom of a café. She has to go through the whole excruciating thing again. She asks her boss, “He was in the ladies’ toilet. Doing drugs. And I have to answer questions? Face an inquiry?” In a sense that sums up the film’s central point for me. The punishment a woman receives for retaliating against a man for his crimes, even when she is in a position of power, is far worse than any punishment the man will receive for his transgressions. It’s a man’s world. Even if you are a female cop. In Soni’s case, especially if you are a female cop. Kalpana is also under pressure from the women in her family to have a kid, to not work the graveyard shift, is faced with dilemmas when her teenage niece says she wants to shoot everyone in class for bullying her very badly, and she’s constantly worried about Soni. Kalpana, who is treated as if she’s not man enough to be a cop and not woman enough to be a wife, tells her niece that her classmates bully her because they recognise that she’s strong and that they fear her. Perhaps she sees a bit of herself in her niece. And Soni. What I liked the most about this slice-of-life film was that in all of the grimness it took on, it also managed to bring back a bit of the catharsis taken away by the powers that be. In the film’s most poignant scene, Kalpana visits Soni and asks her not to quit. She gives her a copy of writer Amrita Pritam’s autobiography, Raseedi Ticket. Soni asks her why it’s called that and Kalpana explains how an influential male writer once told Amrita that her life was so inconsequential that her story could be written on the back of a revenue stamp. Earlier in the conversation, Soni asks Kalpana, “What difference does it make? My being in the force?” Kalpana ‘sees’ Soni even if the latter constantly feels like an imposter. We are all Sonis in this world. We could all do with our own Kalpana.